Joshua joined us at the first ever heART Project workshop in Melbourne in April. The plan for Joshua’s image was straightforward enough; give Joshua the ability to jump and dunk, and teach his helper dog Jess, how to fly through the air like a super hero dog. Knowing the restrictions Josh faced with his movement, I needed to plan carefully how we would achieve all of the captures that would come together to make it look like Joshua was dunking like Michael Jordan. With the help of the other Photographers, there to learn how to bring dreams to life, we worked through each individual limb pose with Josh. Due to Joshua’s condition, he struggled with some of the movements on his left side, so in order to capture his arms at the right angle, we switched him over to the opposite side and I flipped the final shot in Photoshop. Planning how to achieve the end goal with these heART Project images is a big part of establishing success. Ensuring that the subject is at ease and comfortable is so important. In order to make this an experience to remember, we undertook the photo session at the local basketball court, opposite Jacob’s Estate where we ran the workshop. Cardinia Primary School kindly allowed us to utalise their facilities to make this a special experience for Joshua. He even got to play ball while he waited for his photo shoot. Following Joshua’s photo session, we went out to the oval area to capture photographs of Jess, the super dog, jumping for the ball. A selection of these photographs were used to create the final image of Jess jumping up to block the dunk. The background of Joshua’s image was created from 3 photographs, the sky (taken at Magenetic Island in Queensland), Melbourne City, taken as we crossed the Westgate Bridge, and the basketball court. The court was actually Cardinia Primary, captured several days before when Stuart (my husband) and I went to scout out the location and map out Joshua’s project. Following Joshua’s photo session, the group had the pleasure of witnessing his reaction to the news from The Sebastian Foundation about his gift. Joshua was given special tickets to a Melbourne United NBL basketball game (corporate box), and even now is still talking about that gift and what it means to him. Yesterday, I presented Joshua and Mette with his Story Art portrait. The response of joy and excitement has left me smiling from ear to ear. I feel extremely blessed to have the opportunity to create these special images for families that go through so much. Seeing their reaction, knowing how much these images mean to them, makes it all worthwhile. 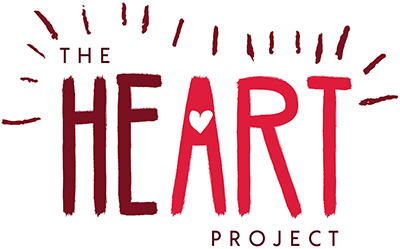 I want to encourage those of you who would like to get behind The heART Project to head over to the offical website and register your interest.